Recently, WFTV News in Orlando reported on plans to demolish Kidzone at Universal Studios Florida in order to add Nintendo additions. According to the plans filed with Orange County, Universal Orlando planned to wipe out everything from the Animal Actors Show all the way back to the Curious George Interactive Playground. 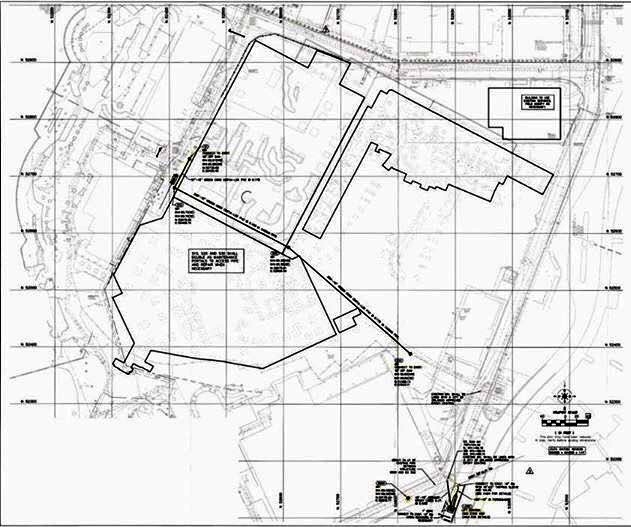 While the scope of demolition is correct (all of that area is going away, E.T. 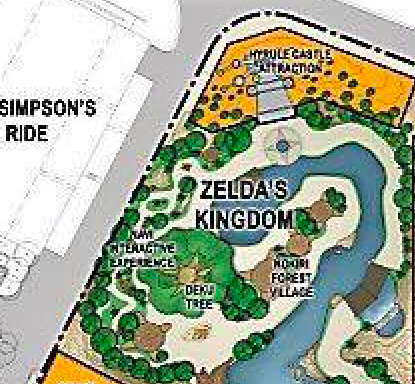 and Simpsons are staying), this Nintendo section of the park will no longer feature Mario Kart and Donkey Kong, despite what WFTV is reporting. Let me explain. Back in June 2017, I posted an article that showcased quite a bit of the plans for Nintendo headed to Universal Studios Florida. 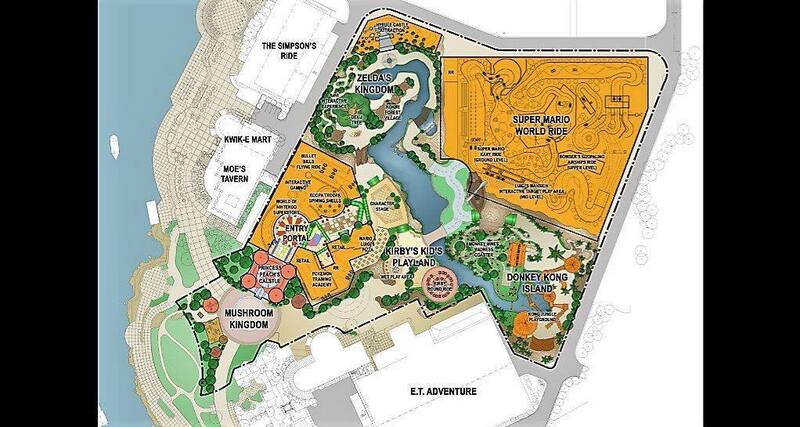 The map above shows a Mario Kart attraction, Donkey Kong as well as Pokemon headed to Universal Studios Florida. While I managed to snag these plans from Twitter, I didn’t have 100 percent confirmation they were real. Here is where this gets interesting. As it turns out, I had people who either were involved with the Nintendo project early on (or were currently involved) reach out to me privately and confirm that those plans were in fact real. However, they were already out of date at the time that article went up. Unbeknownst to me, the Nintendo projects at all Universal parks across the globe were going through a bit of a shuffle. 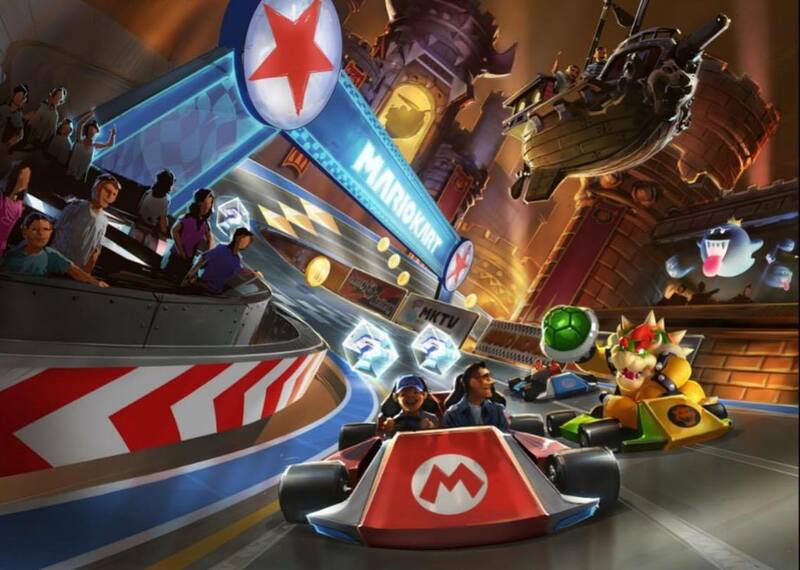 While the space designated for Nintendo expansions is still going to replace the current Kidzone area of Universal Studios Florida, it will no longer feature Mario Kart, Donkey Kong, nor will it look like the layout originally proposed that was posted back in June. A key part of this puzzle is what Chip S (the reporter who found the permits for WFTV) posted to Twitter. Notice in the image above, the construction start date is July 2017. Today’s TPU article is written in late November, and not so much as a spoonful of dirt has been moved for this project at Universal Studios Florida. What I’m saying is, this project is no longer in play. There is no way the demolition can be completed by July 2018 at this point, which means more permits need to be filed. Ergo, everything released by WFTV recently is actually out of date. Just like the plans I uncovered. It happens. Plans change constantly in the theme park world. While I don’t have any new plans to show you at the moment, they will be released in the coming weeks of what really will be coming to Kidzone. I’ll tell you what I know. First, the Mario Kart racing dark ride and Donkey Kong roller coaster are migrating to the new theme park headed across the street from the current Universal property, near the former Wet N’ Wild location where additional acreage was just purchased. Nintendo will be just one land in that new park, which isn’t slated to get announced anytime soon as it’s still being fleshed out. However, Nintendo will be one of six lands/franchises represented on opening day. More on that new park at a later date. What happens to Kidzone at Universal Studios Florida? Pokemon. That’s right. With the enormous popularity of Pokemon continuing to rise, Pikachu and his friends are getting an entire land dedicated to the franchise at Universal Studios Florida. Furthermore, Islands of Adventure will also be getting some Nintendo love as this project has blown up over the last few months. Zelda will be taking residence in its own land inside Islands of Adventure just after Pokemon opens at Universal Studios Florida. FYI, the plans above are indeed old and reflect when it was slated for Universal Studios Florida. Now, what will be in these Pokemon and Zelda lands? I can’t give that away just yet. Why did this happen? A few reasons. As I’ve mentioned before, Universal is committed to adding a major new attraction to every park starting in 2019. With Nintendo, Universal feels that they have a slam dunk franchise that will be immensely popular. As opposed to a “wait and see” approach that was taken when Hogsmeade opened at Islands of Adventure, they are taking full advantage of having the theme park rights to Nintendo and designing new attractions before the first one even opens to the public. The new Universal park down the road had a lot to do with this change as well. Design for the new park has started forming quickly over the last few months and as lands, attractions, and layout started to get locked in, it became apparent that Nintendo needed to be part of this new park since Universal had the rights. No, Nintendo will not represent the entire park. As always, nothing mentioned in this article becomes official until Universal makes announcements. Meaning everything contained here is considered rumor until proven otherwise. Capiche? We will certainly discuss all of this in future articles here at Theme Park University, but what do you think? Is tripling the presence of Nintendo a smart move? Let us know in the comments and on social media! 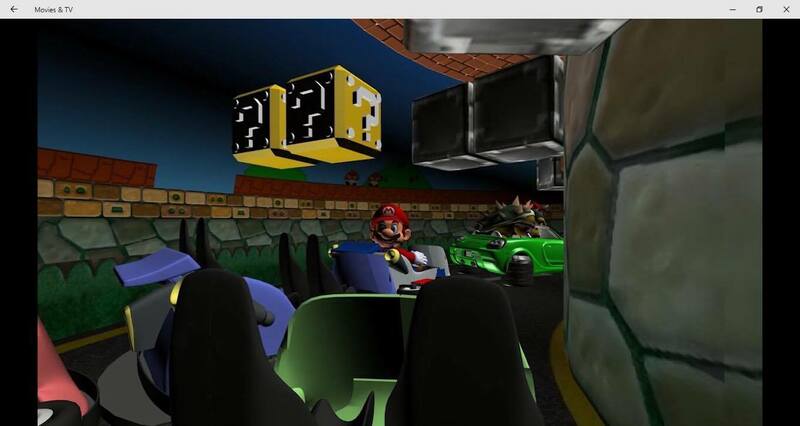 This entry was posted in Universal and tagged Islands of Adventure, Kidszone, Mario Kart, Nintendo, Pokemon, Universal Orlando, Universal Studios Florida, Zelda. Bookmark the permalink. Trackbacks are closed, but you can post a comment.